Using a remote control mower to cut your lawn? That's working smarter, not harder. 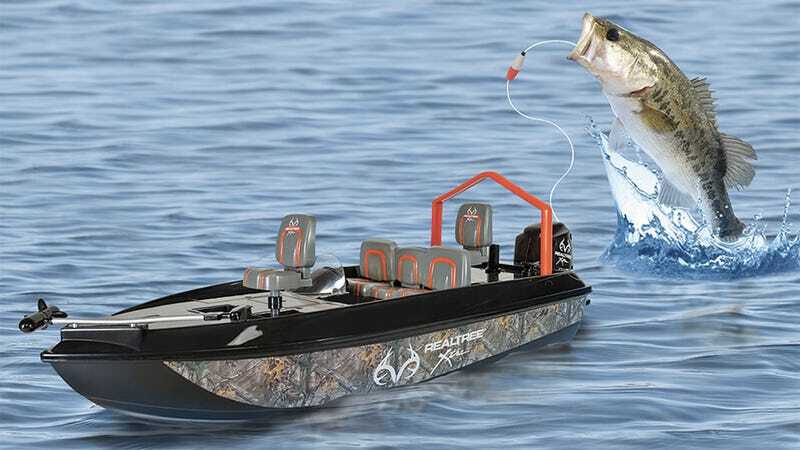 Using a remote control boat to troll your favorite fishing spot? That's just making a lazy sport even lazier—which, of course, is awesome. Why struggle with wrangling a long fishing pole at the crack of dawn when you can simply troll using a wireless controller? This 17.5-inch long craft is capable of snagging and wrangling a two-pound fish, and can troll hard to reach areas, like under a dock, that a cast from a rod and reel simply can't get to. Using the wireless remote it can be steered forwards, backwards, left, and right, and it comes with a telescoping 44-inch long grapple that makes it easy to retrieve the boat after you've reeled in your catch.